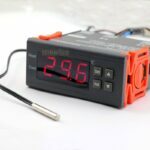 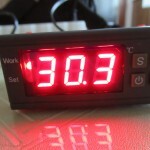 Usefulldata.com | STC-2000 Temperature controller review and manual. 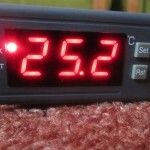 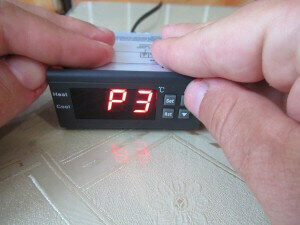 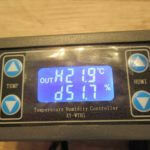 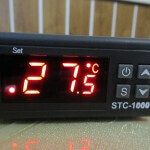 STC-2000 Temperature controller review and manual. 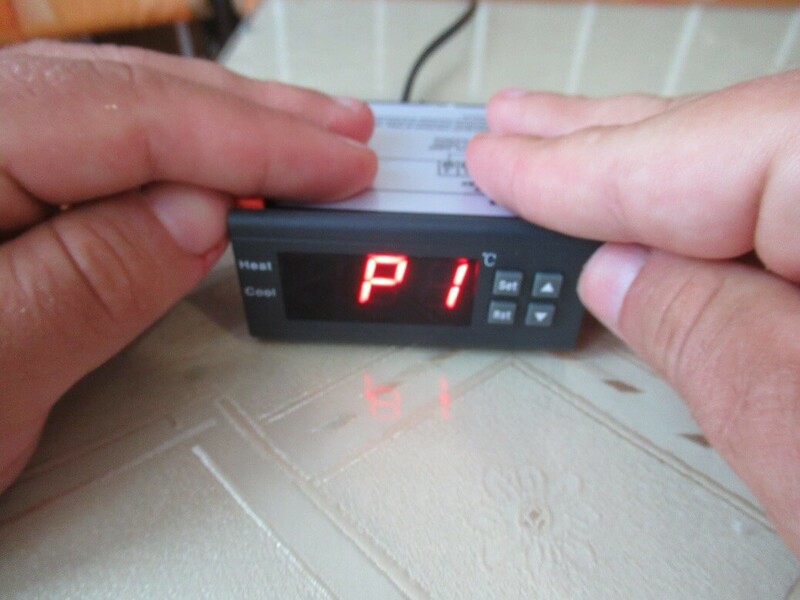 If you plan to buy microcomputer temperature controller with alarm model STC-2000 is good solution,in this review i show his proos and cons ..You can download the complete setup manual with wirring. 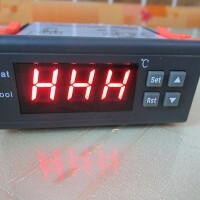 It’s a classic Chinese thermostat with a NTC probe sensor.It looks like STC1000 you can see the by clicking the link. 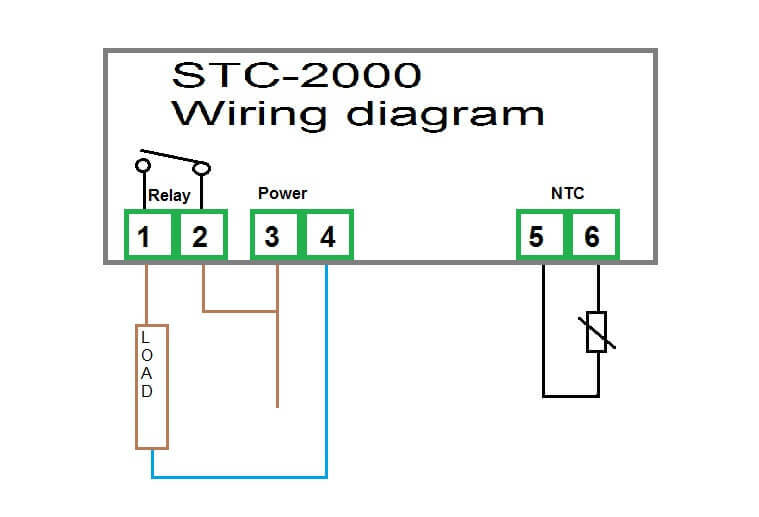 If the STC 2000 compares with the STC-1000 it is a completely different thermostat.Which have a common design only and F1-F2 menu mark .. It’s more like a mix of STC-1000 and MH1210W. It has an alarm that you can turn off and on. 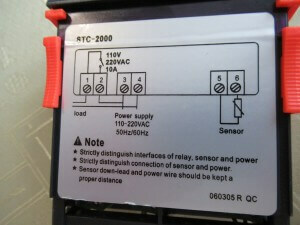 STC 2000 one switch relay (for heating and cooling) , STC 1000 hat two relay one for heating and cooling. I tested 8 pieces of STC-2000 all worked correctly.Alarm works very well I can set different relay switching temperature and other alarm temperature more info in the manual. 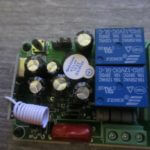 When I was looking through google found a similarly labeled thermostat ITC-2000 from Inkbird ,this company sells 110V to which you can choose degrees of celsius or degrees of fahrenheit ,This may be interesting for US residents.Also has a special “alarm”relay and especially for switching the main unit (cooling heater). 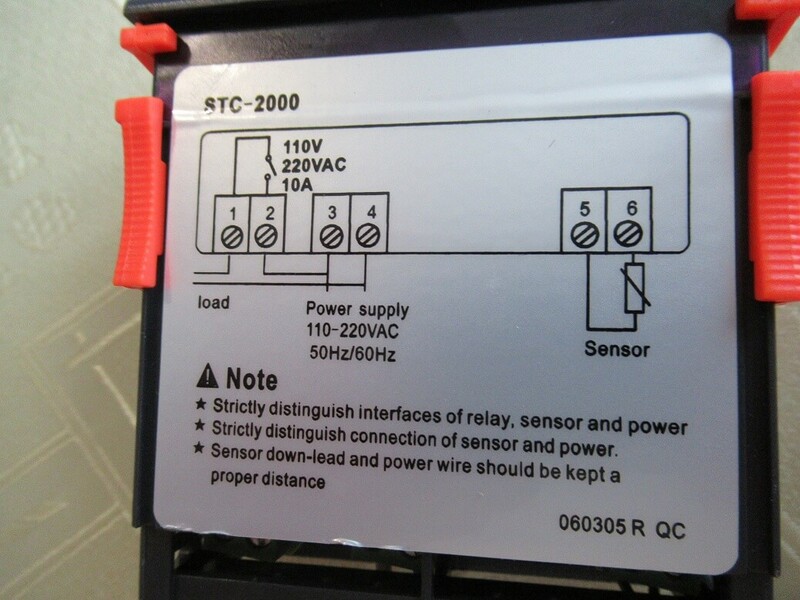 STC2000 has inbuild alarm ,not have special relay contact , and see only 220V celsius version but have very good price 8-10USD with shipping. P1: Hysteresis:slewing range (hysteresis). 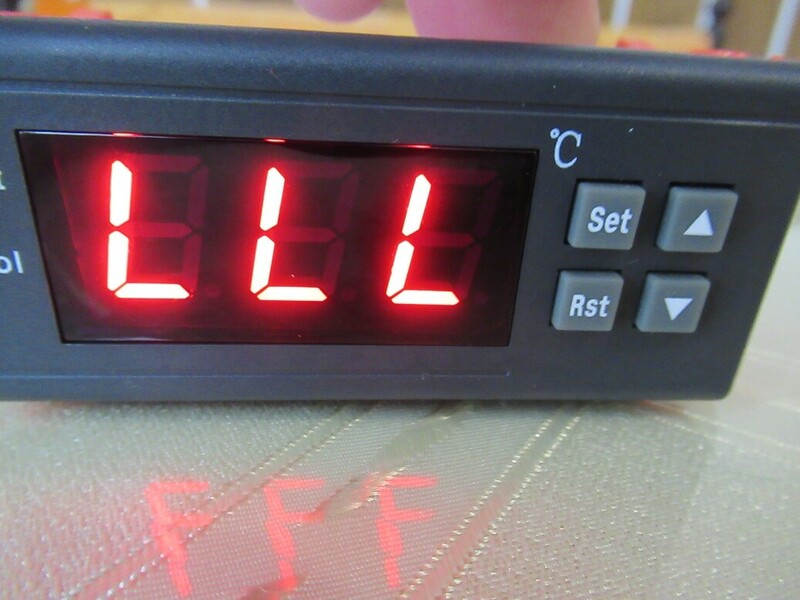 It is a temperature difference if the thermostat does not have to activate the relay. For example, if I heat and I have 28 and d 3 degrees so when the temperature reaches 28°C, the thermostat shuts off the relay and turns it on at 25°C (28°C-3°C as hysteresis). 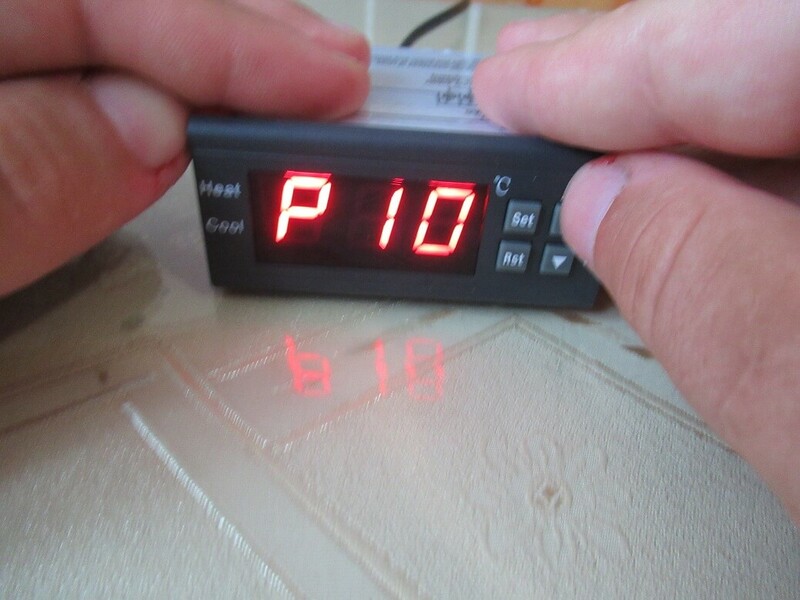 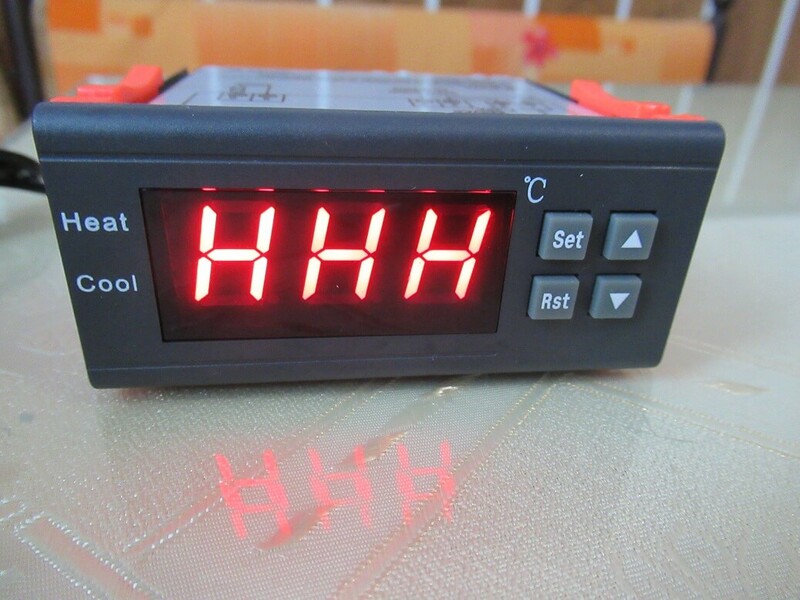 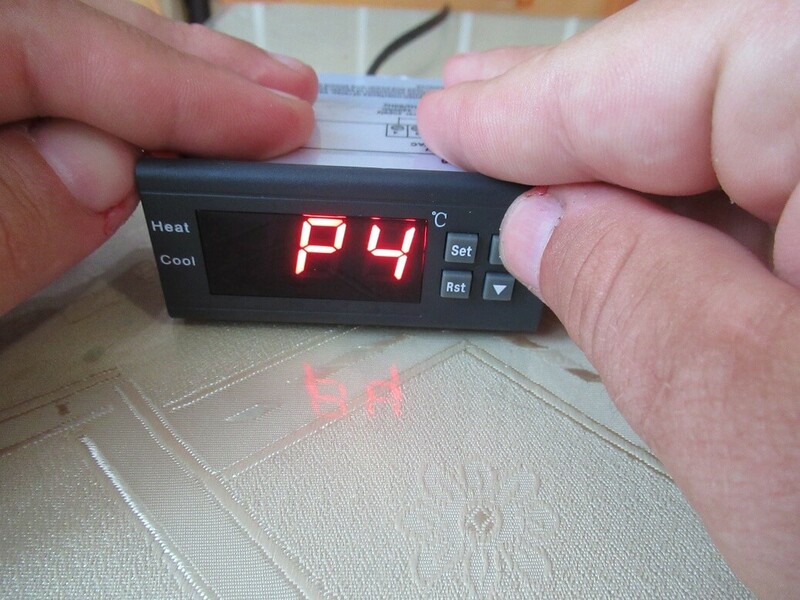 P4 temperature calibration: You can set it -10°C to 10°C by 0.1°C this is This is a big advantage of the STC-2000 thermostat (Other devices only support 1°C calibration steps, this may be inaccurate). P5 delayed turn of relay: For example, if you set a delayed turn off reley 1min so when the temperature reaches the set limit, the temperature controller starts to read for 1 minute then the relay switches OFF. 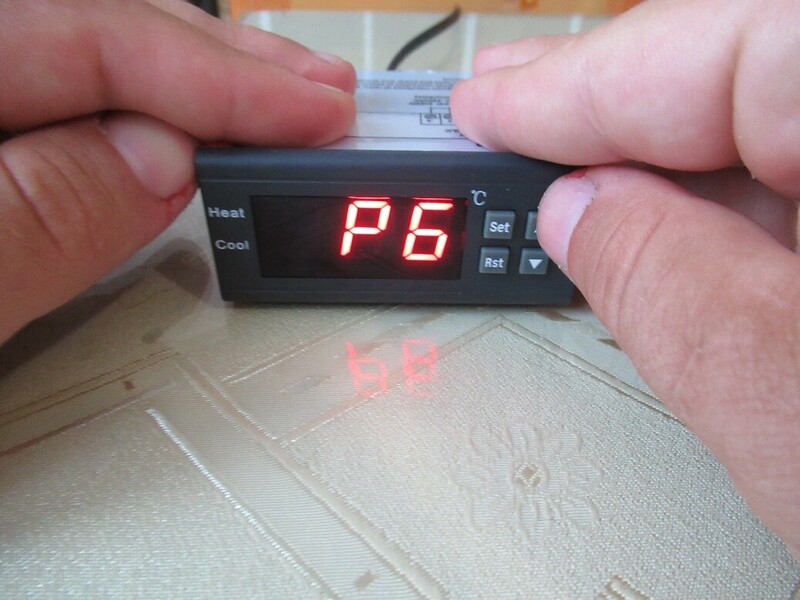 P6 ON/OFF sound: temperature controller have alarm sound and beeb when you squeeze his buttons, ON sound beeb is alowed ,OFF sound is disalowed. P7 Low alarm: SET kritical low alarm temperature , if you set -10 Celsius degree alarm turn on when temperature fall to -10°C. 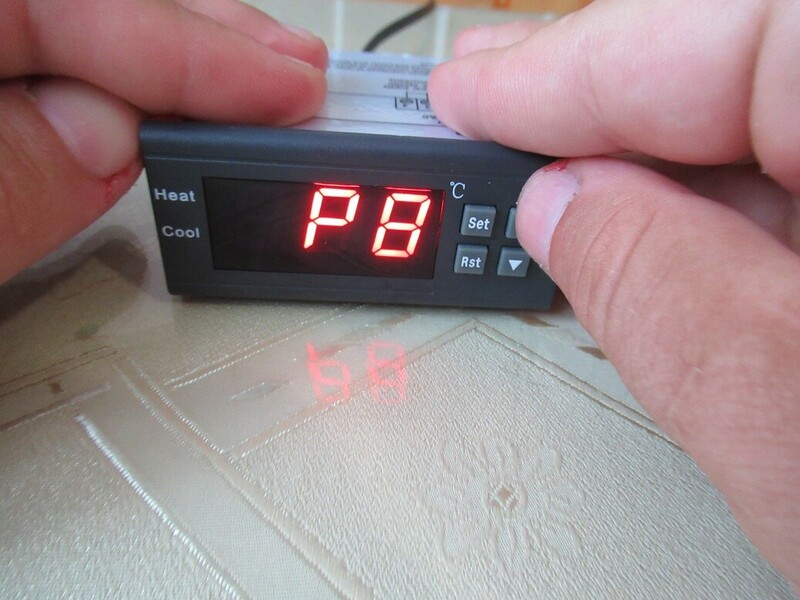 P8 high alarm:SET kritical high alarm temperature , if you set 20 Celsius degree alarm turn on when temperature rise to 20°C. P10-factory settings: change to yes and tempereture controller reset all seting to factory default. 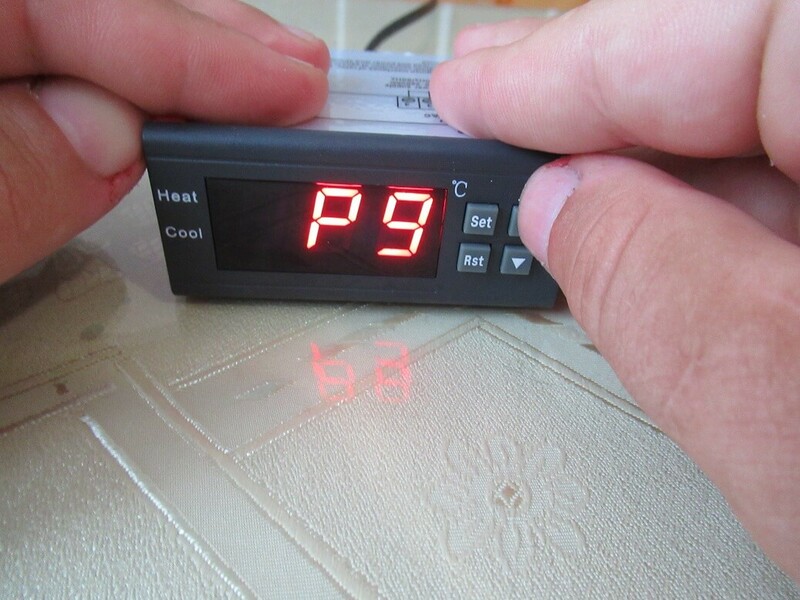 Hello dear Ivan, thank you for the information very interesting, I own the model Inkbird 220V for europe, uses with 2 plug (hot / cold) and a power supply 220V, thank you for its information, good continuation. 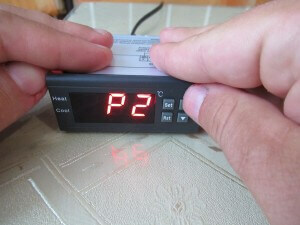 Appreciate your useful and valuable information. 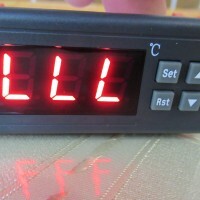 However I can’t find any information on how to set the target temperature in your post above and product manual as well. 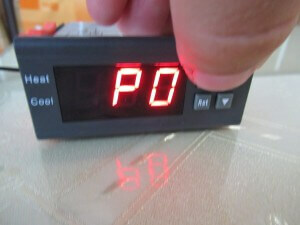 It would be highly appreciated if you let me know how to set it.